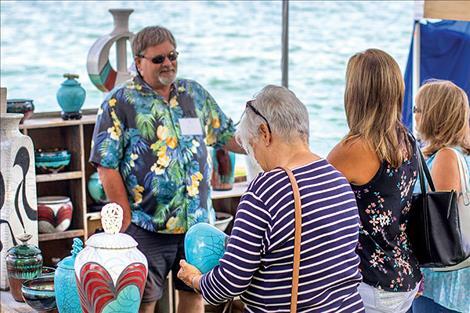 Shoppers connect with regional artists along Flathead Lake during last weekend's Festival of Art in Sacajawea Park. Jayann Chipman of Bottle Bottom Designs prepares her booth before shoppers arrive, below. 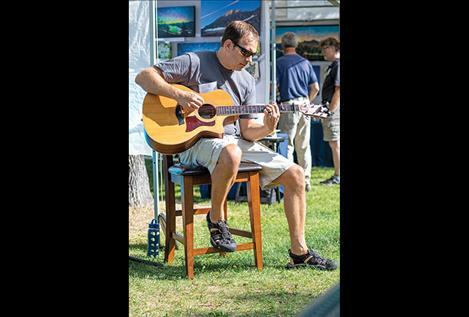 POLSON – On Saturday and Sunday, the 4th annual Flathead Lake Festival of Art was held in Polson’s Sacajawea Park along the shores of Flathead Lake. 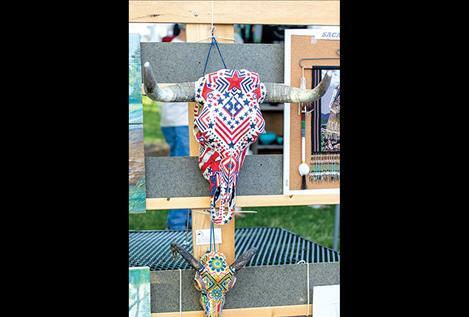 The mid-summer art festival celebrates local art and artisans from across Western Montana. 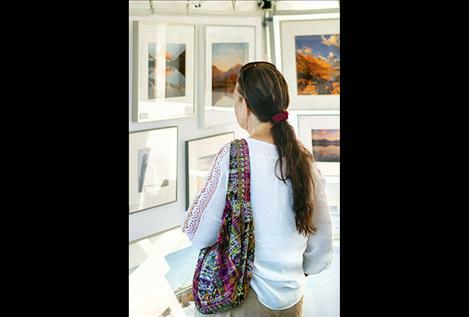 The show offers attendees the opportunity to see the work of more than 30 artists selling handcrafted paintings, photography, sculptures, pottery, jewelry, wood and glass creations. 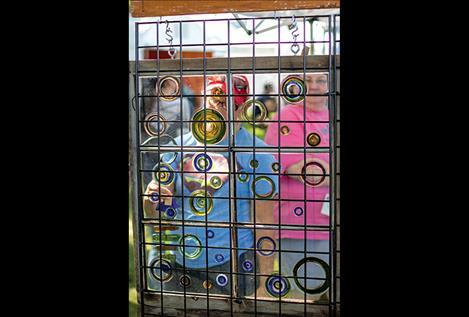 Jayann Chipman of Bottle Bottom Designs attended the show for the first time, selling her repurposed glass bottle art. 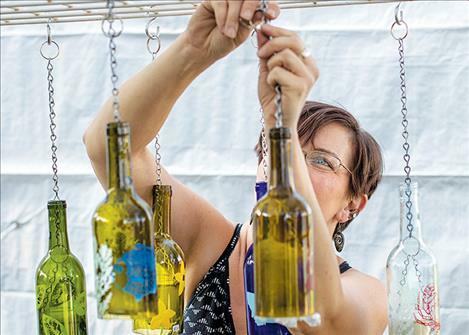 So about six years ago, Chipman began repurposing all types of glass bottles given to her from friends and saved by local bars. Items Chipman crafts from the bottles range from planters, clocks, hanging wind chimes, jewelry and hanging bird feeders. The tree-filled venue offered a relaxed atmosphere for shoppers to browse as David Webb and Nathan Eyre played music from their hand-crafted flutes and guitars.